A true Paperless Application Process. If like us, you believe an organisations resources are better focused upon customer services, then perhaps you need only ask yourself one question - "Can our services save you time and resources, and provide a service that actually costs less?". Our services cost less than you expect, so much so - that you will be delighted and pleased you found us. Call HRBC now - 0844 884 8633 - to discuss your immediate requirements. 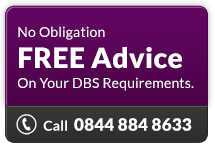 Contact HRBC or Register with HRBC to receive further information or click DBS to see the process and useful information. Click to see our Resource Center and links.